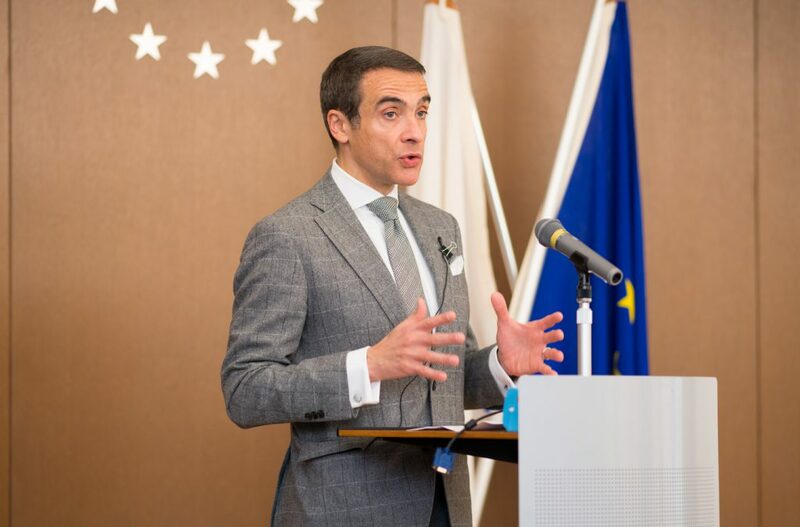 Introduced by Francesco Fini (the EU Delegation Minister to Japan) two workshops, the “International Workshop on Promotion of the EU-Japan High Energy Projects and Activities” and the “International Workshop on the EU-Japan Cooperation to Enhance the European/Global Muography Network Communications”, have taken place at the Delegation of the European Union to Japan as the first event of Muographers 2018. 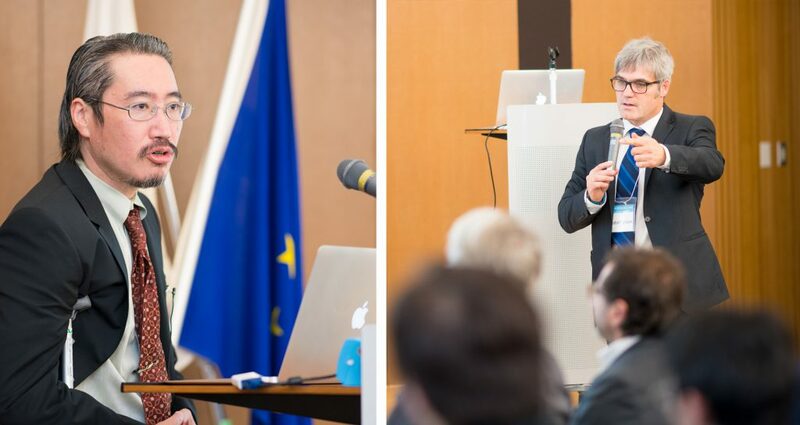 Discussions in the “International Workshop on Promotion of the EU-Japan High Energy Projects and Activities” regarded the future of EU-Japanese High Energy Art and Science collaborations and were introduced by Hiroyuki Tanaka (Muographix/ERI, UTokyo) and Michael Hoch (CMS Experiment, CERN) representing the ORIGIN Network (including Alice, Atlas, CMS, LIGO/VIRGO, and the Muographers). 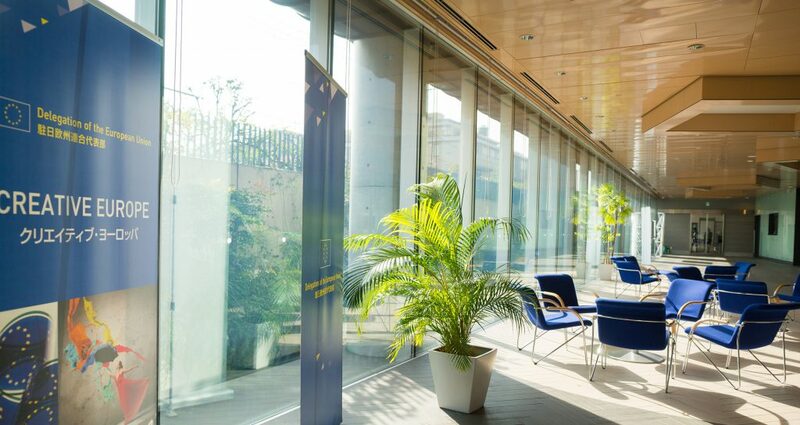 Past events were evaluated including: the 2015 Hungary-Italy-Japan joint exhibition “Muography: Perspective Drawing in the 21st Century” at Intermediateque (located in front of Tokyo Station in the JP Tower building), the Tama Art University Museum (Japan) exhibit “Vision Towards the Horizons of Science & Art Through Muography” which featured the works of 13 artists from Japan, Hungary, Austria and the U.S.A. (May to June, 2018), the emerging field of Fine-Art Muographers which has held 18 successful exhibitions since 2015, and the newly formed ORIGIN Network which has organised several worldwide science/art exhibits in 2018 including the “Cultural Collisions” event in the Ontario Science Centre (Toronto, Canada), the recent Southeast Europe tour (Croatia, Bosnia, Albania, and Montenegro) and the Science Festival & Master Classes event in Tbilisi State University (Georgia). 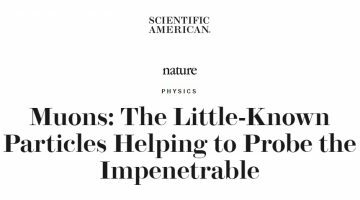 New opportunities for dissimilating research to the public were also considered. 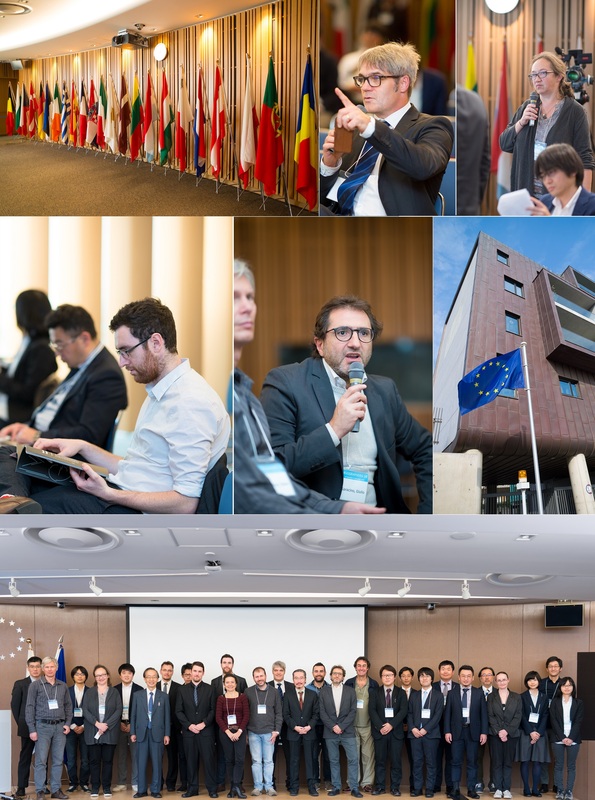 Following this workshop, the “International Workshop on the EU-Japan Cooperation to Enhance the European/Global Muography Network Communications” featured presentations regarding the goals of Muographers for the INTENSE MSCA RISE project. Muography is one of the 3 included topics in the INTENSE MSCA RISE project, which will receive funding until 2022. 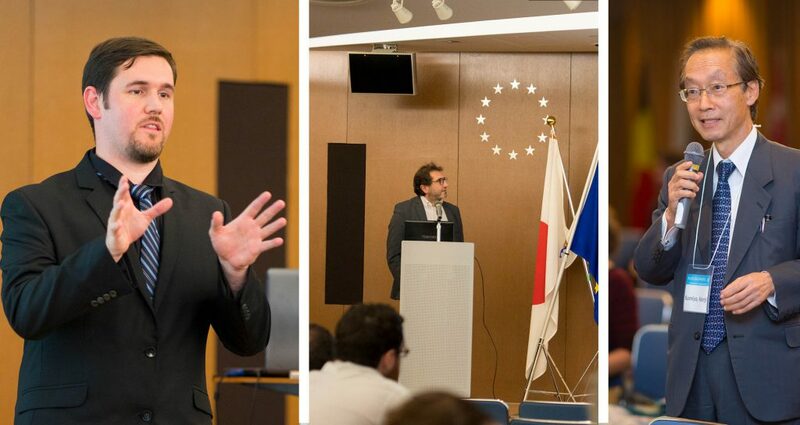 Andrea Giamanco (UCLouvain), responsible for the work package of the INTENSE MSCA RISE project, outlined the goals and strategies during his opening remarks and the first presentation for the “International Workshop on the EU-Japan Cooperation to Enhance the European/Global Muography Network Communications”. Japan’s role in this project was discussed next: volcanoes, cultural heritage and social infastructure by Hiroyuki Tanaka and the Hungary-Japan joint muography observatory at Sakurajima Volcano was introduced by László Oláh (Muographix/ERI, UTokyo). 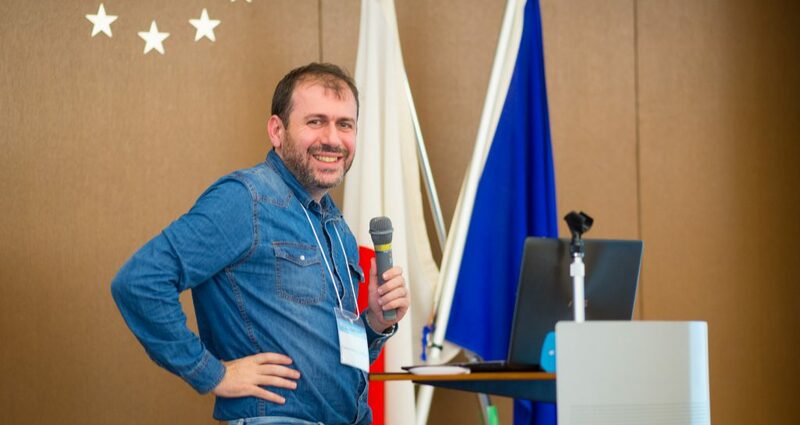 Dezső Varga (Wigner RCP) introduced applications for geo-science and civil implementations involving collaborations between Wigner RCP and Japanese industries. Muography projects in Italy have centered mainly on volcanoes recently. Other possible targets and international cooperation strategies were mentioned in Guilo Saracino’s (University of Naples/INFN) presentation. Kansai University’s plans to realize a Europe-Japan Kofun muography project to image the inside structure of a ancient Japanese burial chamber, called a kofun, was presented by Kenji Sumiya (Kansai University). Finally, Andrea Giamanco explained a recent proposal for a large European Training Network devoted to the promotion of muography which would, if funded, involve 30 institutes, create 14 doctoral scholarships for muography in the EU with funding for schools, workshops and other means to improve EU-Japan knowledge transfer. Involved researchers in the current INTENSE MSCA RISE project group include ERI at UTokyo (Japan), Nagoya University (Japan), INFN (Italy), Bern University (Switzerland), Wigner RCP (Hungary), UCLouvain and University of Ghent (Belgium) and volcanologists from INGV (Italy) and and UCLouvain (Belgium), and two private companies: TECNO IN (Italy) and B12 (Belgium). 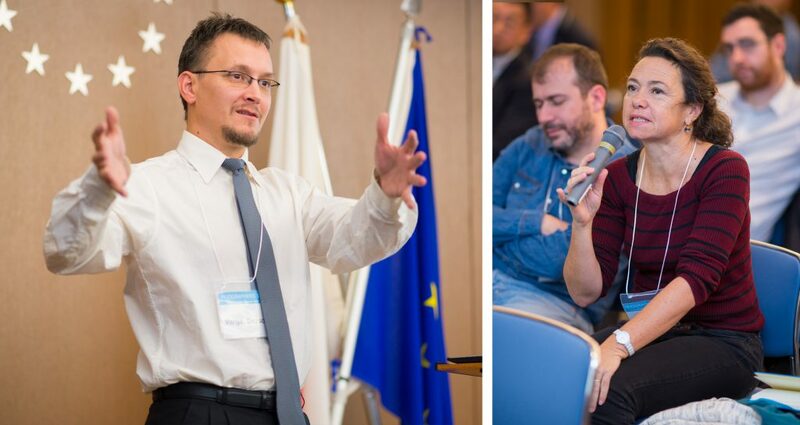 For more information about the INTENSE MSCA RISE project, check the EURAXIS newsletter (pages 10-12). The Muographers 2018 Conference was held from November 28 – December 1, 2018, check the website.